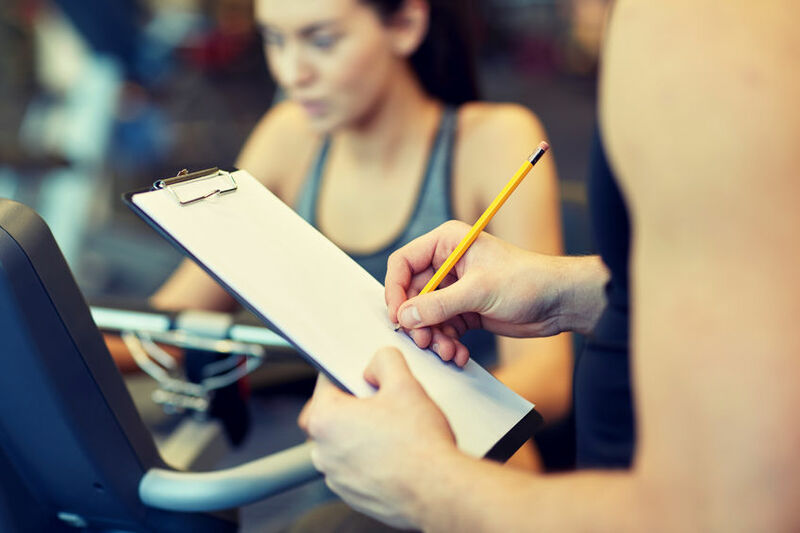 At Phoenix Fitness we work hard to be knowledgeable and responsive to the needs of our clients so that they can get the most from their weight loss surgery. So if you are looking for a personal trainer that understands your needs and limitations around fitness and bariatric surgery as well a professional that can get the most out of you in a positive challenging environment we would love to talk with you more. Feel free to set an appointment for a free 30 minute phone consultation to talk about your needs and see if we can help you achieve your fitness and health goals. This workout program is built around taking advantage of the common time line of post-surgery and is broken into 3rds. The first 1/3rd are short, 30 minute sessions that is a combination of strength and cardio and will last 3 weeks. This portion of your program is designed in this way because there is a good chance that you are still going to fatigue fairly quickly, even if your head is telling you different. In addition to this if exercise hasn’t been a common part of you life starting slow is a great way to get a good understanding about what is all about and keep you motivated to keep at it. The second 1/3rd of the program starts about 3 weeks in where the exercise session time increases by 15 minutes to 45 minutes /session and will last another 3 weeks. The goal in this portion of the program is to build both cardiovascular and strength endurance as well as continue to strengthen your habit of having exercise as a part of your new life. The focus of the workouts are the same as in the first ⅓ a equal mix of cardio and strength training. The final 1/3rd of the program is also the largest part of the overall program and lasts 12 weeks. By this time you are about 12 weeks out of surgery, have lost a substantial amount of weight and any fatigue you were feeling 6 weeks ago has disappeared. The sessions move to 2 60 minute session with a combination of progressive strength training along with cardio workouts which start to include more high intensity work. During this part of the program you will see the most changes take place in both your cardiovascular endurance as well as your overall strength. Good for people that have been out of surgery for a while and need to reset and get back to a consistent workout program. The workouts start at 45 min sessions so you get get back into the groove of workouts and not wear yourself out. Then they progress to 55 minute sessions to start building back up your strength and endurance. For anyone that wants to have an ongoing training routine, work on specific goals and needs. These sessions are 55 minutes in length and all workouts and training sessions are focused on your individual needs. Workout with 1 or 2 more people can be friends and family. Good for people that want the extra motivation that comes from small group training. Works best with people that have close goals, needs and fitness levels. Cost can be split between the group to keep with in budgets. Online personal training with Phoenix Fitness is setup so that you get monthly training plans that include workouts built for your needs and limitations, scheduled days that you will do the workout, scheduled days for cardio work and your off days. Along with this you get video explanations of all the exercises, contact with a personal trainer to ask questions you may have and an app so you can take your workout plan to the gym with you. In addition to the online program you also work with a trainer at our studio space once a month. This is a great option if you don’t live near our space but want the professional specialized service that Phoenix Fitness offers. You just need a bit of a push and your are off on your own. This package is setup so you get 3 full workouts built to your needs and limitations along with one 90 minute explainer session. This explainer session is built to explain in full your workouts, assess and modify movements and form as needed. The session also gives you the opportunity to ask any questions about the workouts themselves so you are more confident using them. Along with the workouts you get 1 month free access to the online platform which gives you the opportunity to keep track of your progress, videos demonstrating the exercises as well as being able to contact a personal trainer at Phoenix Fitness if you have questions.